Can you imagine a Sony PlayStation3 can bring you more fun than just playing video games? Have you ever thought of using your PS3 to play music and videos? In mid-2007, Sony has released an updated firmware (version 1.8 and newer) for PS3 to support DLNA function. This update makes PS3 an excellent media player for you to play the multimedia contents from a DLNA media server in the home network. You can stream the digital contents from the DLNA media server to your PS3, and then output the contents to your Hi-Fi system or TV via the home network. No duplicated investment is required. 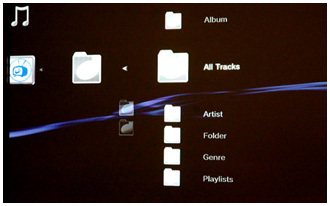 PS3 currently supports MP3 and WMA music, JPEG photos, and MPEG1, MPEG2, and some MPEG4 videos. To use this new application, you may install the proper DLNA server software on a PC or laptop and store all the media contents on the same computer. Every time when you want to play the contents on a TV or a Hi-Fi system, you need to turn the computer on and initiate the software program. This may sound cumbersome. You may also prepare a spare PC with DLNA server software installed and turn it always on. However, the power-consumption rate is high and the fan noise generated by the computer is annoying. To solve all these hassles, you may consider QNAP NAS as the DLNA media server for your PS3. 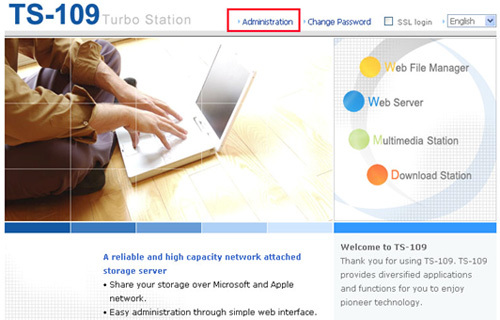 Simple activation: The UPnP/DLNA media server embedded in the Turbo Station can be enabled simply by a single click. No extra software is necessary. Stable and energy-saving: The Turbo Station adopts embedded hardware design which is stable and energy-saving. The power consumption is about 14.4W under normal operation (for 1-bay models). Compared to a PC server, the Turbo Station helps you save electricity expense to a large extent. Complete backup options and other attractive features: Besides sharing the media contents by the Turbo Station, it supports advanced “remote replication” and “QRAID-1/ RAID-1” instant backup and restoring technology to provide a more complete backup choice. Install a hard disk to the Turbo Station and finish initialization according to the Quick Installation Guide. Check the box “Enable UPnP Media Server” and click Apply, the UPnP Media Server function is ready to use! �	In Content Locations, indicate the path of shared contents on your QNAP NAS (default folder is Qmultimedia). In the example, we added the directories /Qmultimedia and /Qdownload. � For ease of browsing if you have a large amount of media contents, you can configure the navigation tree for your photos, videos, and music. This powerful feature lets you pick your media contents on TV easily. When you have completed the configuration, make sure you have clicked the button Save Changes to save the settings. You can move the mp3, pictures or video to the Qmultimedia folder or any specified folders on the Turbo Station for PS3 to play, or upload the files by My Network Places in Windows (key in the path, e.g., \\192.168.1.34\ in your browser to access to the folder) or by FTP. The Turbo Station will be shared on the network. Connect your PS3 to your home network via wired or wireless access. 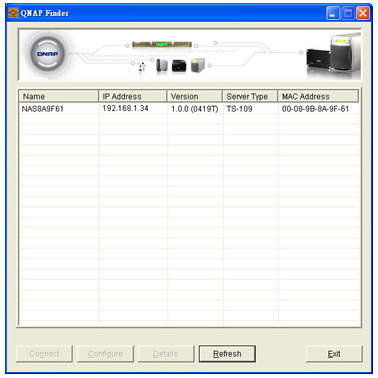 Be sure to have your QNAP NAS and PS3 located in the same network (i.e., the same subnet). Connect your video and audio output of your PS3 to a TV and a Hi-Fi system. Select a video, music, or photo icon on the main screen. Then select “Search for Media Servers” and you will find the server icon of TwonkyMedia from your QNAP Turbo Station easily. Click the server icon and start to browse the shared contents from the Turbo Station. 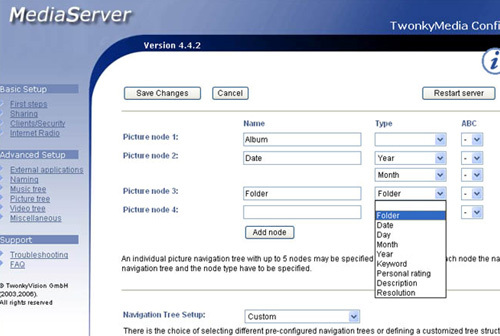 The media contents are systematically sorted and displayed in the navigation tree for your selection. 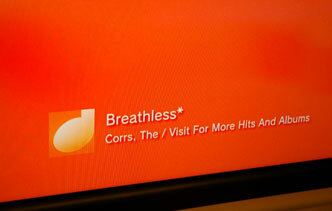 Select to play the videos or music, or view the photos on your TV. The UPnP Media Server of the Turbo Station enables you to save mp3 and other multimedia files collectively on the server and share these files on LAN. 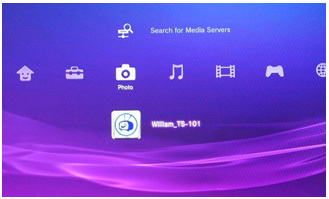 With DLNA supported PlayStation3, the files can be played by Hi-Fi system or LCD TV independent of PC. Moreover, the Turbo Station’s energy-saving, fanless (1-bay models), and aluminum alloy case design enable absolutely silent and stable performance. It is small-sized, stylish, and an ideal choice for setting up digital home environment. If you are an owner of Microsoft Xbox360, you can also use the similar application. Simply connect your Xbox360 and QNAP NAS to the home network and then it goes! Xbox360 currently supports MP3 and WMA music, JPEG photos, and WMV videos.